A teacher who was assaulted during MR vaccination campaign selected for bravery Award, while another for State Award for best teacher, in Hailakandi, Assam. 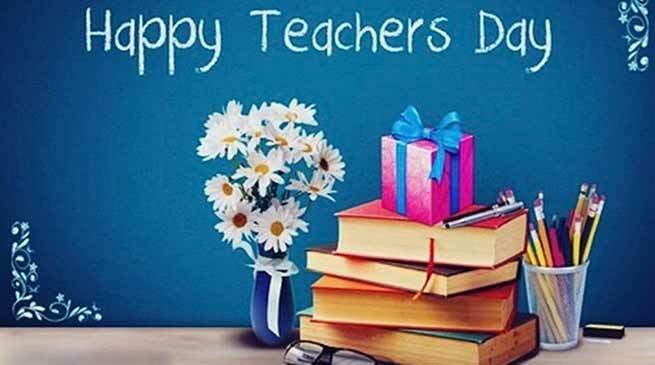 The Hailakandi district administration has chalked out various programmes to observe Teachers’ Day in a befitting manner. Inspector of Schools, Rajiv Kumar Jha informed that the central function would be held at the Nazrul Sadan auditorium in Hailakandi town on Wednesday, where Deputy Commissioner Adil Khan will hoist the flag in the morning. The function will be graced by heads of various educational institutions, academicians and teachers past and present. Altogether 32 teachers, past and present have been selected for district-level award for their remarkable contribution to the field of education. Jha informed that head teacher, Jaya Das of North Narainpur Basic School, who was assaulted by miscreants during the Measles Rubella vaccination campaign leading to her hospitalisation, will also be felicitated by the administration for her exemplary valour. Meanwhile, Deputy Commissioner Khan, officials, individuals and organizations congratulated Mridula Nath, Head Teacher of 748 No.Lala Town Model LP School for being selected for the State Award 2018. On the other hand Mridula Nath, Head Teacher of 748 No Lala Town Model LP School has been selected for the State Award for best teacher 2018. She will receive the award at the state-level function of Teachers’ Day in Guwahati on September 5. Nath joined as Assistant Teacher at Indira Memorial LP School on June 19, 1993. Later, she was transferred and posted to 748 No. Lala Town Model LP School in 1997. She was promoted as Head Mistress in the same school on July 1, 2013, which she is continuing till date. Deputy Commissioner, Hailakandi, Adil Khan, Inspector of Schools, Rajiv Kumar Jha, individuals and organizations congratulated Nath for being selected for the State Award for her remarkable contribution to the field of education.